The Golf Club at the Resort is your full-service golf headquarters. We stock all the top brands in the game including Titleist, Cleveland, and Adams Golf Equipment. On the apparel side, we carry the hottest styles of Nike, Straight Down, and Cleveland. 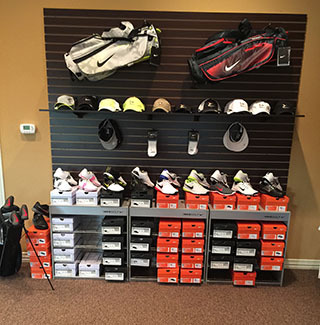 Our expert pro shop staff can assist you, whether you’re updating your equipment or finding the perfect gift. At The Golf Club at the Resort’s pro shop, you can also schedule a lesson with one of our knowledgeable PGA professionals, who will help shave strokes off your score. We understand everyone has a different ability and skill level, and we individualize our lessons for each player’s body type, experience and swing. We know better golf equals a better time on the course. From beginner to skilled, we can’t wait to make it easier for you. For pro shop questions or to schedule your next lesson, call (817) 750-2178. You can practice from dawn to dusk on The Golf Club at the Resort’s comprehensive practice facilities. Our driving range features a huge hitting area with several target greens. 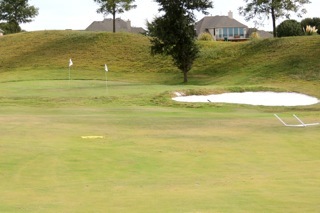 The short game area will have you putting it close from 80 yards and in your entire round. Once you have zoned in your swing, stop by our putting green, which offers a fair judgement of how the greens will be rolling on the course. Our practice facilities, conveniently located near our club house, are open all day. You can practice when it best suits you. We work hard to make every inch of our 8,000 square foot comfortable and accommodating for our members, which has men’s and ladies’ locker rooms with traditional hardwood lockers and bag storage. During weekends, we serve a hearty breakfast to our players, available before or after a round of Fort Worth golf. The daily lunch menu gives golfers a great choice of homemade soups and fresh salads. Did we mention we serve lunch on our poolside veranda? The same poolside veranda with a panoramic view of Eagle Mountain Lake and the vast land beyond. Finally, stick around for our bistro dining and specialty meals at night. You’ll love our popular steak night, Italian night and fish fry, offered on select evenings through the month. Keep your eyes peeled, too, the clubhouse offers theme parties and special events on a regular basis. As you familiarize yourself with the clubhouse, you’ll notice businesses, social groups, ladies’ and couples’ bridge clubs, Bible study groups, book clubs and more using our excellent facilities. There is only one major requirement to enjoying our clubhouse and its dining — you have to have one of our famous Frozen Bellinis, the best in town! 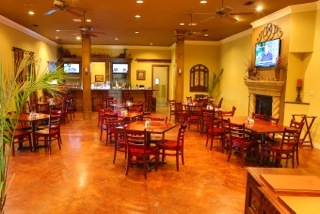 For more info about the clubhouse, call (817) 750-2178. 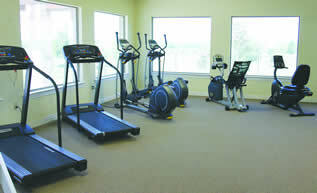 Like everything else at The Golf Club at the Resort, the fitness center is of the highest quality. It features the same equipment you’d find at spas or health clubs, carefully selected to meet the needs of our members. We have cardio equipment, pin select machines, dumbbells, loading machines, electronic bikes, walkers and elliptical machine. The facility is full air conditioned. When you’re done working out, hop in our beautiful, infinity style pool for a quick dip. Your kids will probably be there waiting. Call (817) 750-2178 for more info about the fitness center.